"Green plumbing", or eco-friendly, environmentally conscious plumbing products and procedures, is all the rage in recent years. However, it's more than just a fad for Bluewater Plumbing, Heating, and Air Conditioning. We have taken up the cause to better the planet in conjunction with our everyday trade. We are making a difference in the way people consume (and ultimately waste) water with our solutions for green plumbing in Queens and the surrounding areas of New York. Bluewater Plumbing & Heating is single handedly helping New York homeowners and commercial property owners to conserve water and eliminate unnecessary waste. We implement small changes in the products and methods associated with traditional plumbing. 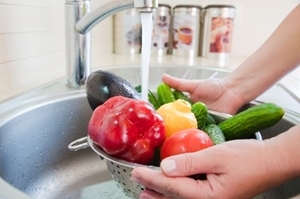 There are a variety of techniques that green plumbers can use when installing green plumbing in a home or office (including solar heating methods and the use of organic glues and sealants), but clearly the most important job of a Queens plumber offering this type of service is to save water. This waste of toilet water immediately jeopardizes our drinking supply, as planet earth only has a fixed amount of water for the inhabitants of the world. Fortunately, at Bluewater Plumbing, Heating, and Air Conditioning our technicians are trained on the best ways to conserve water-starting with high efficiency, low-flush toilets as well as other green plumbing products. A high efficiency toilet can save up to 4,000 gallons of water each year. And while that may not seem like a drastic savings, remember that is only the figure for one home. 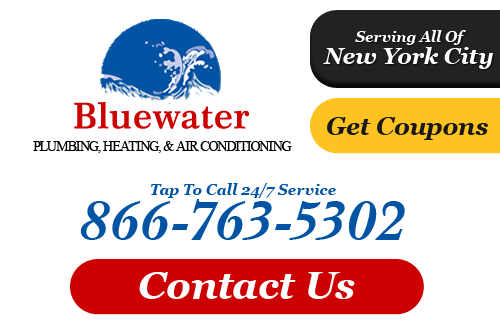 To learn more about the green solutions we can offer, or to schedule plumbing services in Queens or the surrounding areas of New York, please give Bluewater Plumbing, Heating, and Air Conditioning a call today. If you are interested in our solutions for green plumbing in Queens or the surrounding areas, please call 866-763-5302 or complete our online request form.